who built it and built it right. It will stand here for a long, long time." 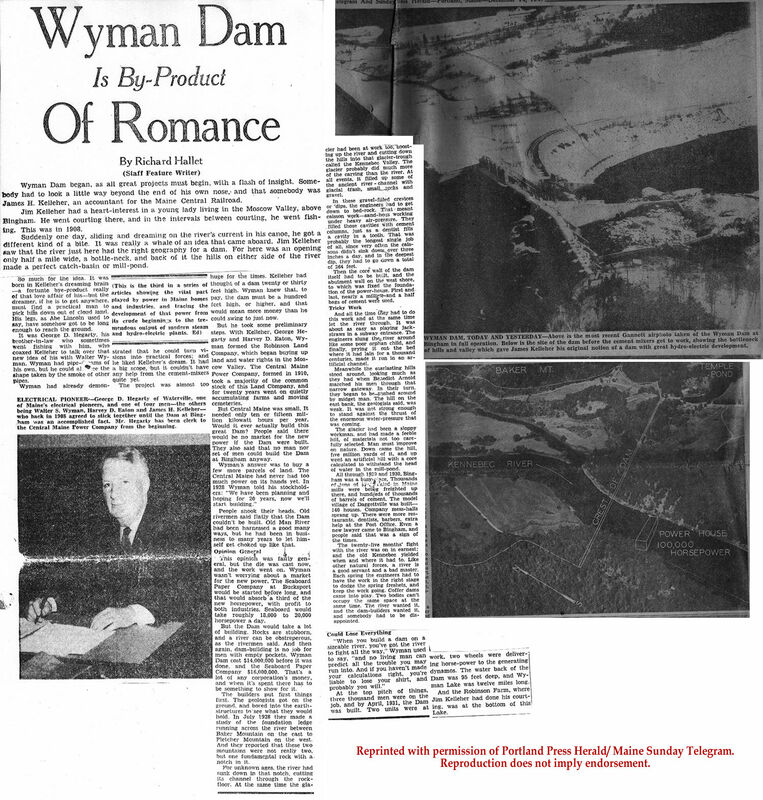 To commemorate the 75th anniversary of the construction of Wyman Dam. 60 members of the MAE enjoyed dinner at the commissary and a tour of the project as guests of CMP. The tour included an inspection of the work site and the new living quarters, built as a community for the workers, known as Daggettville. 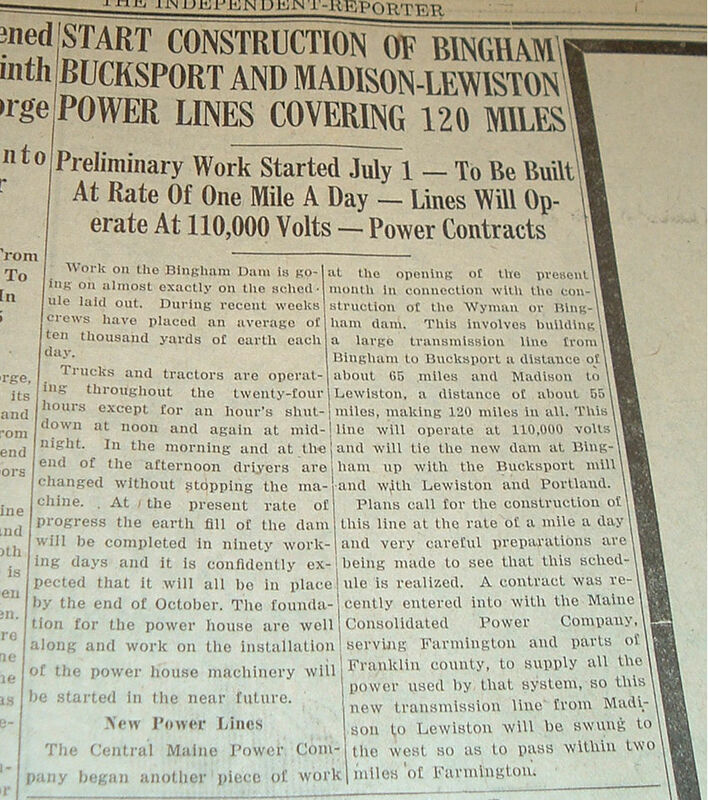 Preliminary Work Started July 1 - To Be Built At Rate Of One Mile A Day - Lines Will Operate at 110,000 Volts - Power Contracts. 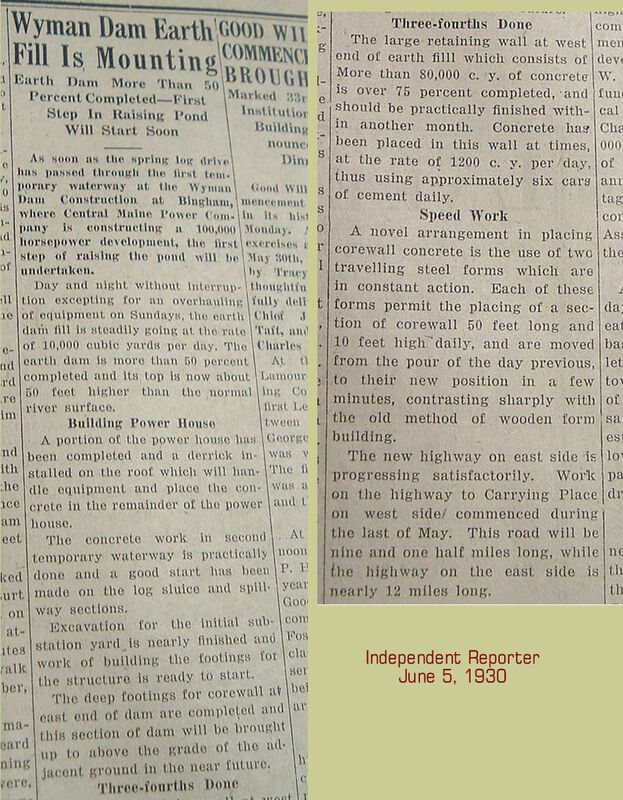 Independent Reporter, February 6, 1930. 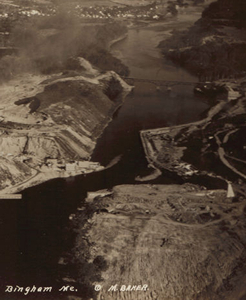 A sampling of the pictorial history of construction — from initial excavation to the railroad extension, and from caissons to power generation units—all documented by a talented Moscow native. 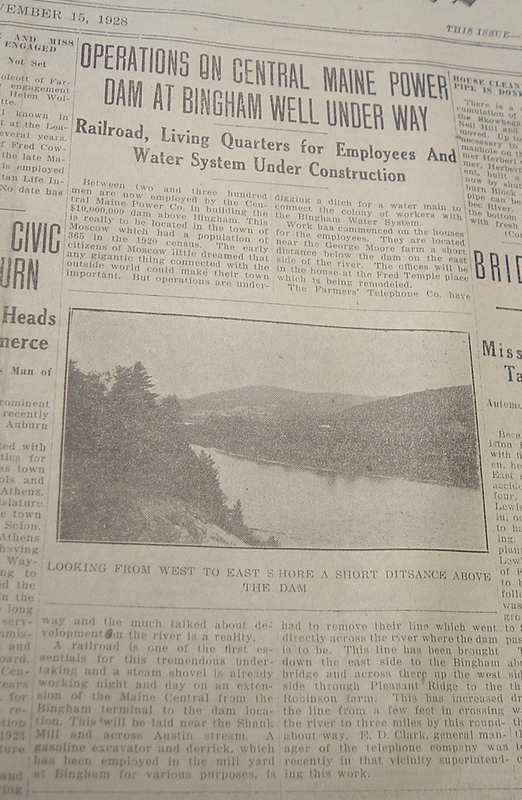 From the Collections of the Maine Historical Society. Used with permission. 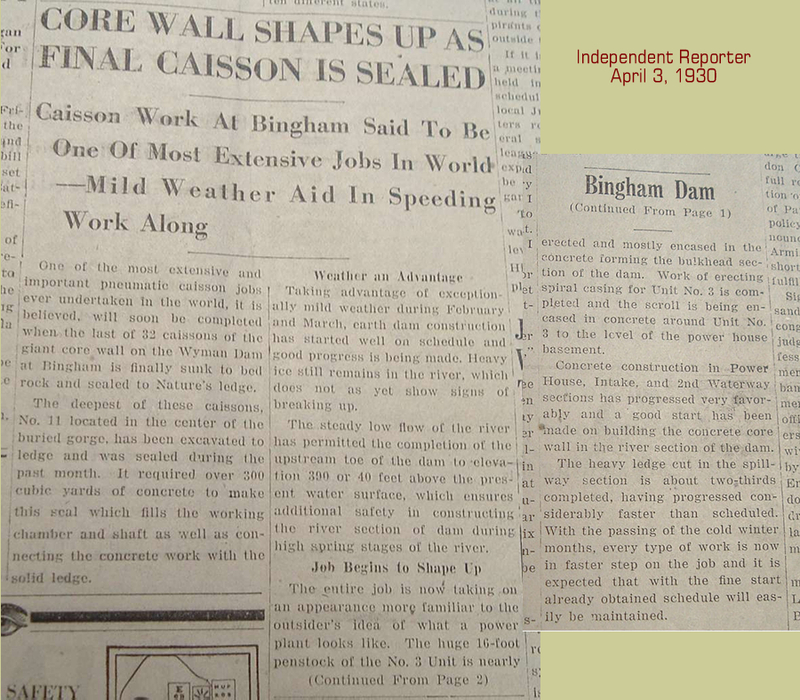 Arrangement, depths, dates of completion of caissons and keys. Drawn by New England Public Service Co. From the personal collection of John Downey, resident engineer. Abstracts from a Newcomen Society talk given by Wiliam B. Skelton in 1949. Abstracts include brief biographical notes. 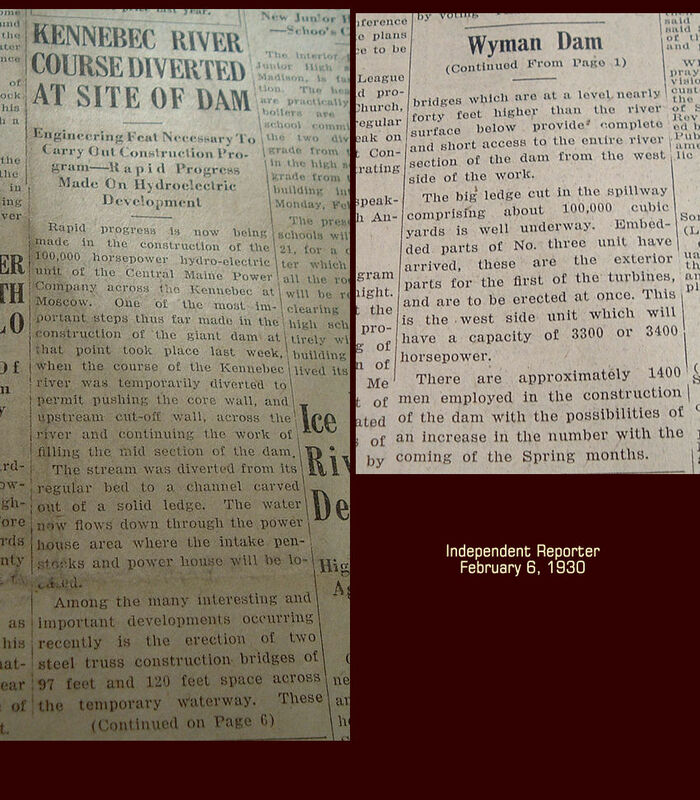 Portland Sunday Telegram And Sunday Press Herald - Dec. 14, 1947. How James Kelleher's courtship of Angie Robinson at Pleasant Ridge sparked Walter Wyman's vision.